Queensland Rail says it still can’t estimate how long the rail line connecting North-West Queensland’s mining operations with the Port of Townsville will be cut. Chief executive officer Nick Easy said the Mount Isa Line between Cloncurry and Hughenden, and many surrounding communities and roads, continues to be impacted by extensive flood waters. 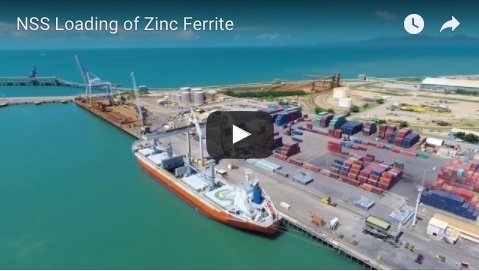 “Recovering the Mount Isa Line for our freight partners and reconnecting this important supply chain is a key priority for us,” he said. “We know how important the Mount Isa Line is to the local economy and for the export market. There is certainly a lot of work to do, but at this stage we anticipate rectification of the line ahead of the 6 – 12 months being reported. The North Coast Line north of Townsville was fully re-opened yesterday. However, in a statement to market earlier this week it estimated that the rail closure would cost about $10 million a week from February 9. A Glencore spokeswoman said operations continued across the company’s North Queensland copper and zinc business in Townsville, Mount Isa and Cloncurry. “We are currently monitoring the transport network situation and QR, as rail operator, is best placed to comment on the status of the rail service,” she said. Mr Easy said the Flinders Highway remained closed in several sections, including a critical section from Julia Creek to Nelia – which was inundated by up to 1.5m of water as of Wednesday. 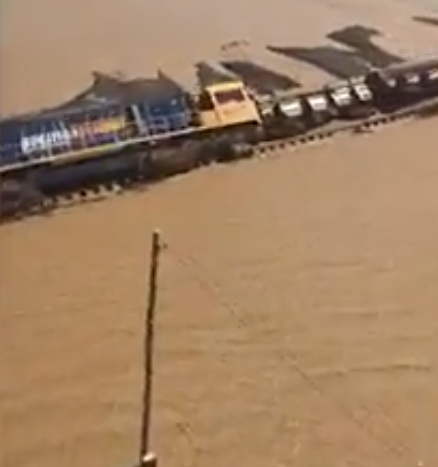 Large sections of track between Richmond and Julia Creek remain underwater. Crews had started removing debris off the track at Richmond and ballast trains and crews were positioned at Cloncurry and Hughenden, he said. Mr Easy said 5000 sleepers had been delivered to Hughenden, which would be followed by a further 5000 sleepers arriving in Cloncurry by the end of the week in preparation for track repairs. Queensland Rail is continuing to work with Pacific National, Glencore, the Queensland Department of Environment and Science, and independent environmental specialists on an environmental action plan for a site at Nelia where a stowed train laden with zinc concentrate, lead concentrate and copper anodes was derailed in floodwater. “I’d like to provide assurance that recovering the line between Townsville and Mount Isa is an absolute priority for our business,” Mr Easy said. “As soon as local conditions improve, we gain physical access to the site, and we can determine an accurate timeframe for the recovery of the line, this information will be shared with our communities, stakeholders and freight partners immediately." It started a progressive shutdown of plants at Phosphate Hill on the weekend, saying it was aiming to run each plant as long as possible given storage and input constraints. A Glencore spokeswoman, responding to iQ questions on the impact of the rail closure, said operations continued across the company’s North Queensland copper and zinc business in Townsville, Mount Isa and Cloncurry. Mr Easy said the Flinders Highway remained closed in several sections, including a critical section from Julia Creek to Nelia - which was inundated by up to 1.5m of water as of Wednesday. “Once flood waters recede, we will need to wait for ground conditions to improve in order to allow for the mobilisation of people, plant and equipment to site,” Mr Easy said. “As soon as local conditions improve, we gain physical access to the site, and we can determine an accurate timeframe for the recovery of the line, this information will be shared with our communities, stakeholders and freight partners immediately. “We were pleased to reopen the North Coast Line south of Townsville on Saturday 9 February after crews worked around the clock in just three days to repair 16km of track and repack 1500 tonnes of ballast. 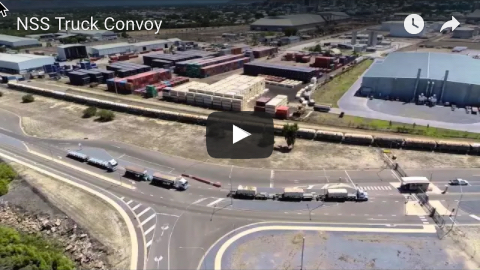 This re-established an important freight connection between Brisbane and Townsville.